How did they employ people for World War I? Explore what life was like as a child in 1916! After the outbreak of the First World War, offices were overwhelmed by volunteers! 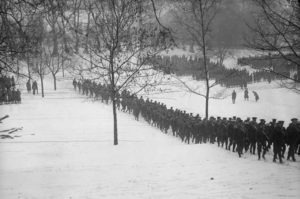 Within eight weeks, nearly 750,000 men had enlisted. Public buildings were turned into new offices across the country with administrative and medical staff being hired to work in them. This poster is very famous! It features General Kitchener. 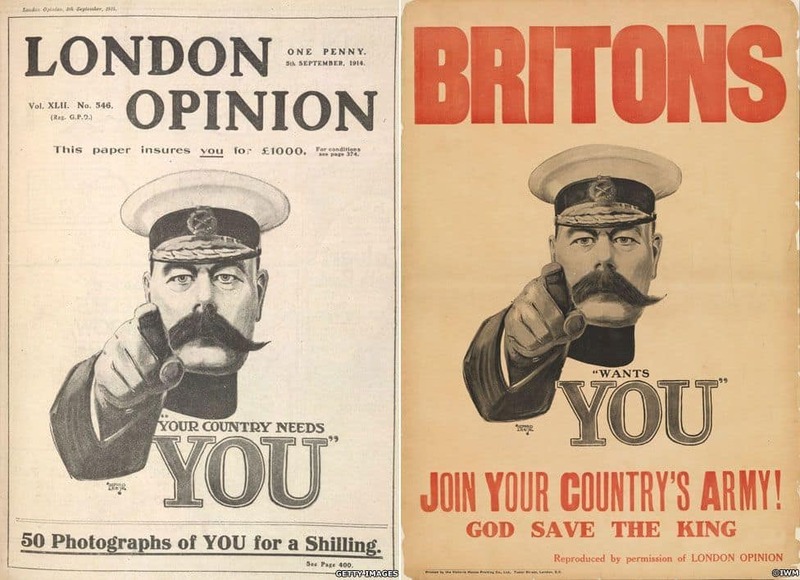 When war came in August 1914, Lord Kitchener, the Secretary of State for War, realised that Britain needed a bigger army. He did this by creating a new volunteer army, which became known as ‘Kitchener’s Army’. He made a direct appeal to the men of Britain. Posters were printed showing him pointing his finger at passersby with the words ‘Your Country Needs You’. Men felt proud at the prospect of fighting for their country and queued outside recruitment offices all over Britain to join the army. Posters and newspaper reports tried to encourage other men who could go to volunteer. The Government wanted as many men as possible to join the forces willingly. The first ‘Military Service Bill’ became law in January 1916. 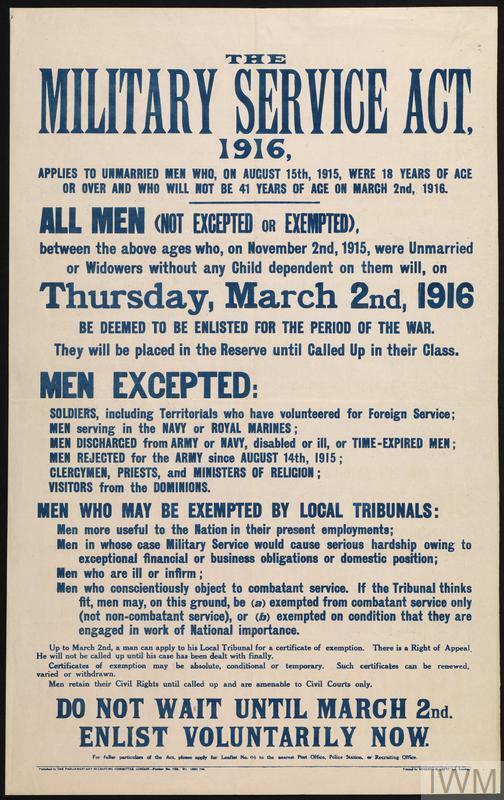 From March 1916, military service was required of all single men in England, Scotland and Wales aged 18 to 41, except those who were in jobs essential to the war effort – like teachers, farmers, miners and government workers. People who weren’t well or those who could show a conscientious objection could refuse. It meant that people didn’t have to fight. Further military service laws expanded to include married men. The laws also meant more people had to go, even as old as 50! Any young boys prepared to defend Britain if the German army invaded. Rifle ranges were opened, where boys could learn how to shoot. Posters encouraged boys as young as 15 to join the Navy. The adverts told boys they could earn three shillings and sixpence a week and get free rations, as well as a free uniform. Three shillings and sixpence a week in today’s money is about £36. Many boys from poorer families were tempted to join up. They could earn even more by training to use guns and torpedoes. You had to be at least 18 to serve in the army, but many young boys lied about their age to join up. The youngest boys who fought in the trenches were in their early teens. Once recruited, soldiers would train in parks and open spaces across the city, including on Hampstead Heath. You can find out more about Recruitment and Conscription in 1916 at the Brent Museum and Archive and at the Islington Museum.